However, as weeks pass it also becomes obvious that the families of many of the volunteers need help themselves as their men are not available to provide the livelihood. Against these background, media and online social networks recently reported about some cases of volunteers being fired from their jobs for not coming to work during the past several weeks. Member of the Chamber of Advocates Inessa Vardanyan says that two such volunteers had turned to her complaining that their employers had fired them over being absent from work. She says that under the current labor legislation it is only absences for “valid” reasons that cannot be treated by employers as a ground for dismissing their workers. While there are companies in Armenia that during these days maintain the salaries to their staff members who have joined the troops as volunteers and even pay bonuses to them, some, apparently, cannot afford to do so or are unwilling to do so given the opportunity provided to them by the law. Tadevos Avetisyan, an official from the Ministry of Labor and Social Affairs, says that the April events when there were a lot of cases of volunteers joining troops at short notice and without proper notification of their employers will force some revisions in the Labor Code. “We are studying our labor legislation in order to clarify and provide safeguards for the people who will in one way or another leave their job to join the troops at the borders as volunteers,” says Avetisyan. Meanwhile, a number of benefactors as well as ordinary citizens have responded to calls in social media about the needs of some families of volunteers that, as it turns out, cannot even pay utilities during these days. 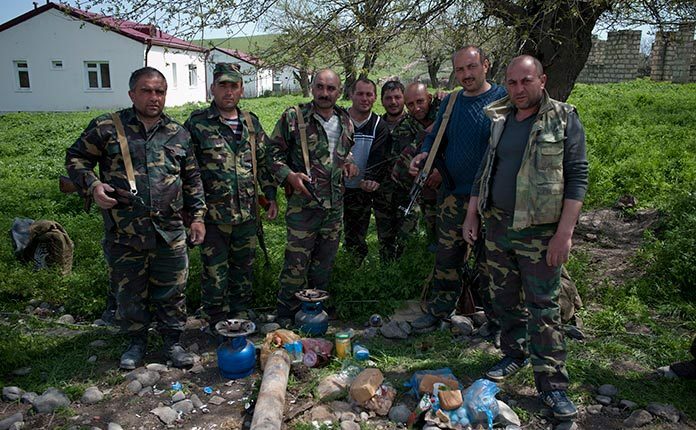 In particular, member of the National Assembly Karen Karapetyan, besides helping the families of killed soldiers, these days is also supporting about 200 families of volunteers in Armenia’s Lori province.